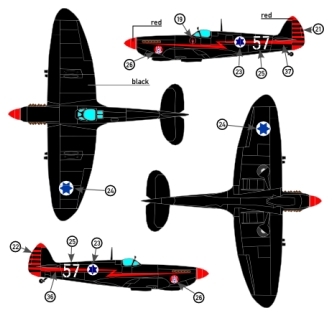 Decal set for Eduard Spitfire Mk IXe / IXc in 1:144 scale. 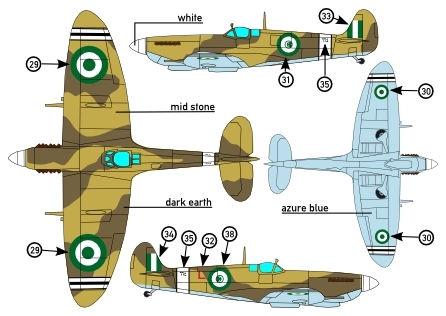 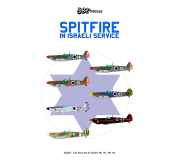 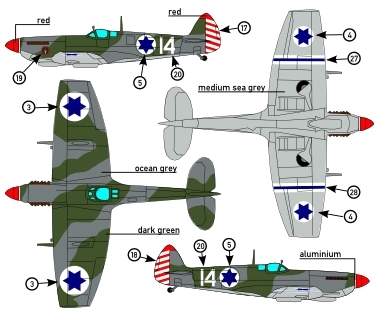 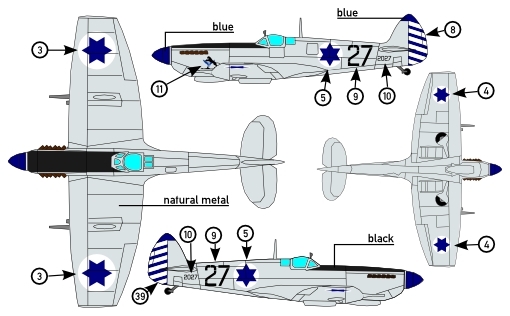 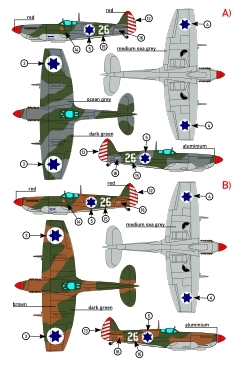 Contains decals for 5 different Spitfire Mk IXe of the Israeli Air Force (including one with two alternative liveries) and as a bonus decals for one of their adversaries – Spitfire Mk IXc of the Royal Egyptian Air Force. 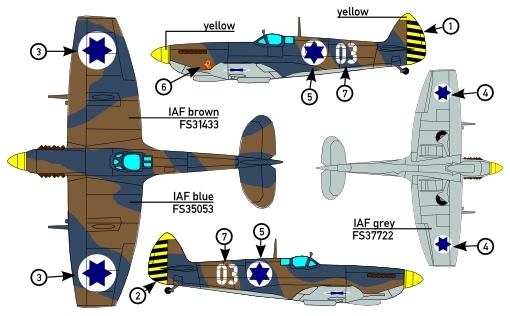 Contains detailed decal placement and painting gude.